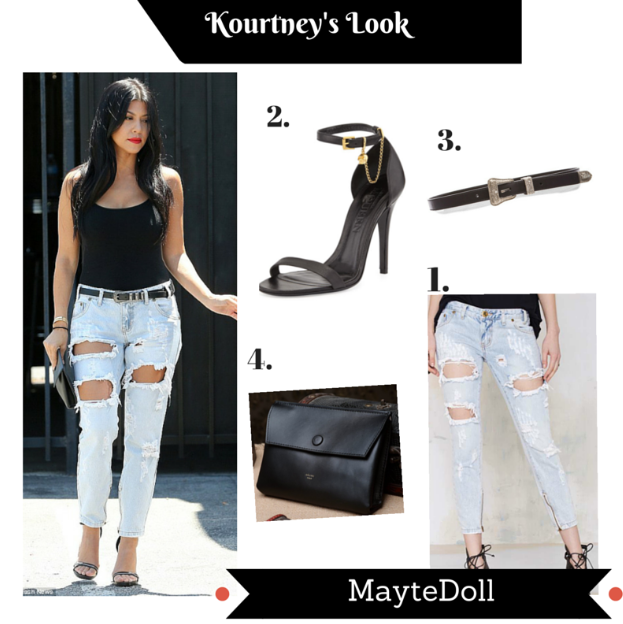 Does anyone else love Kourtney's latest street style? When I first seen these pictures, I instantly knew that I had every piece of clothing in my closet to recreate this chic look. I love how she rocked these light distressed denim jeans from Nasty Gal with a simple black tank top, by her adding matching black and silver accessories like her Saint Laurent hip belt and black ankle high heeled sandals.